If your web browser is redirected to a previously unseen web-page named the Persubscribe.com, then this might be a sign that your computer is affected by the obnoxious adware (also known as ‘ad-supported’ software). Adware is an undesired software usually gets installed alongside free applications, codecs and shareware. Aside from causing redirects, the ad supported software also can open a huge number of advertisements, slow down the machine and continually gather personal information about you. It is likely that you might be bothered with the ad-supported software related to Persubscribe.com popups. You should not disregard this unwanted software. The ad supported software might not only display intrusive ads, but redirect your browser to unsafe web-pages. Even worse, the ad supported software be able to gather lots of your confidential information (your ip address, what is a page you are viewing now, what you are looking for on the Internet, which links you are clicking), which can later transfer to third parties. Therefore, the ad-supported software does not really have beneficial features. So, we recommend you remove adware responsible for redirecting your web browser to Persubscribe.com web page as quickly as possible. This will also prevent the adware from tracking your online activities. A full Persubscribe.com notifications removal can be easily carried out using manual or automatic method listed below. There are a few methods which can be used to delete Persubscribe.com pop ups. But, not all potentially unwanted apps such as this adware can be completely deleted utilizing only manual solutions. Most commonly you are not able to uninstall any adware using standard MS Windows options. In order to remove Persubscribe.com pop ups you need complete a few manual steps and run reliable removal utilities. Most computer security professionals states that Zemana Anti-Malware, MalwareBytes Free or Hitman Pro utilities are a right choice. These free programs are able to look for and get rid of Persubscribe.com popups from your computer and revert back your web-browser settings to defaults. The useful removal tutorial for the Persubscribe.com notifications. The detailed procedure can be followed by anyone as it really does take you step-by-step. If you follow this process to remove Persubscribe.com notifications let us know how you managed by sending us your comments please. First of all, check the list of installed software on your PC and uninstall all unknown and recently installed programs. If you see an unknown application with incorrect spelling or varying capital letters, it have most likely been installed by malicious software and you should clean it off first with malicious software removal utility like Zemana Anti-malware. It will show a list of all software installed on your computer. Scroll through the all list, and uninstall any questionable and unknown programs. 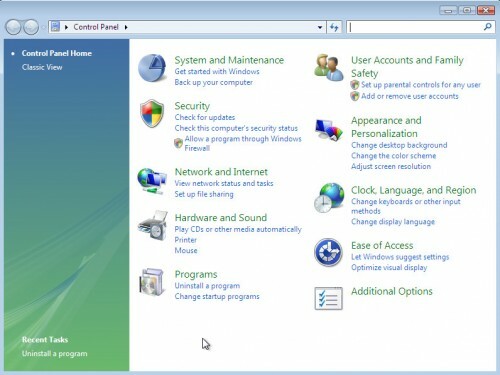 To quickly find the latest installed programs, we recommend sort applications by date in the Control panel. 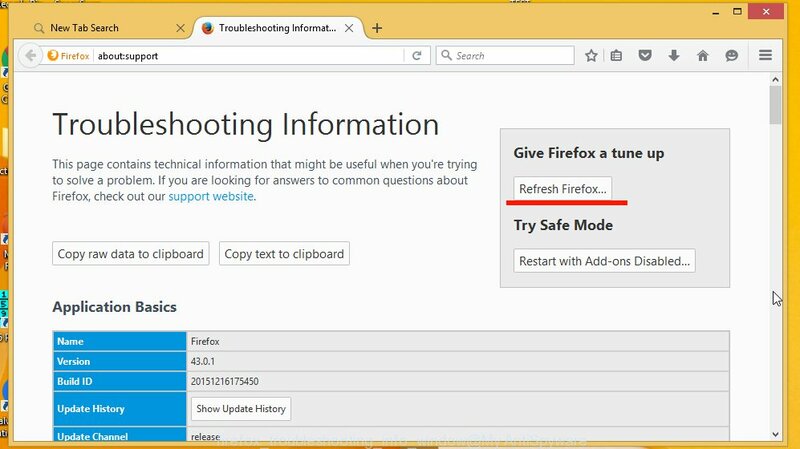 Resetting your Firefox is first troubleshooting step for any issues with your browser program, including the redirect to Persubscribe.com web site. It will save your personal information like saved passwords, bookmarks, auto-fill data and open tabs. First, start the Mozilla Firefox and click button. It will show the drop-down menu on the right-part of the web-browser. Further, press the Help button ( ) as on the image below. It will open the confirmation dialog box. Further, click the “Refresh Firefox” button. 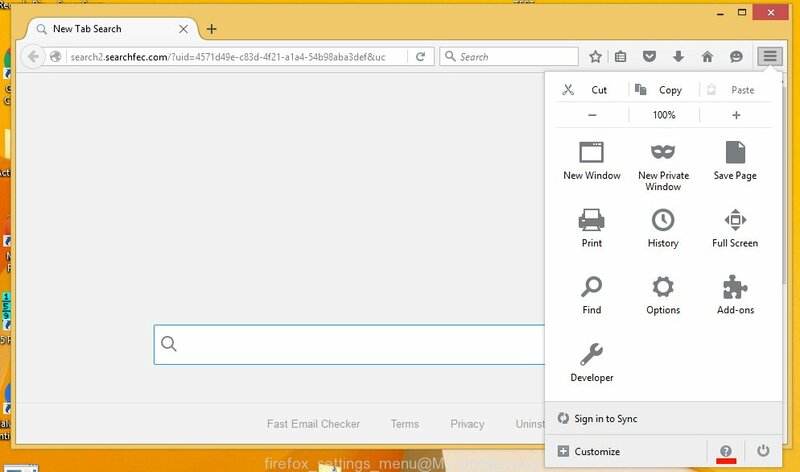 The Firefox will start a process to fix your problems that caused by the adware that responsible for the appearance of Persubscribe.com popup ads. After, it is finished, press the “Finish” button. 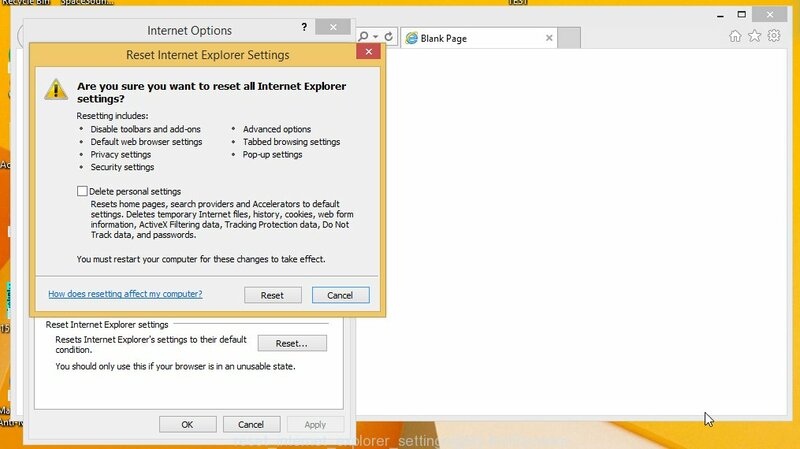 If you find that Microsoft Internet Explorer internet browser settings like newtab page, home page and search engine by default had been replaced by adware that causes undesired Persubscribe.com popups, then you may revert back your settings, via the reset web-browser procedure. In this step we are going to show you how to reset Chrome settings. 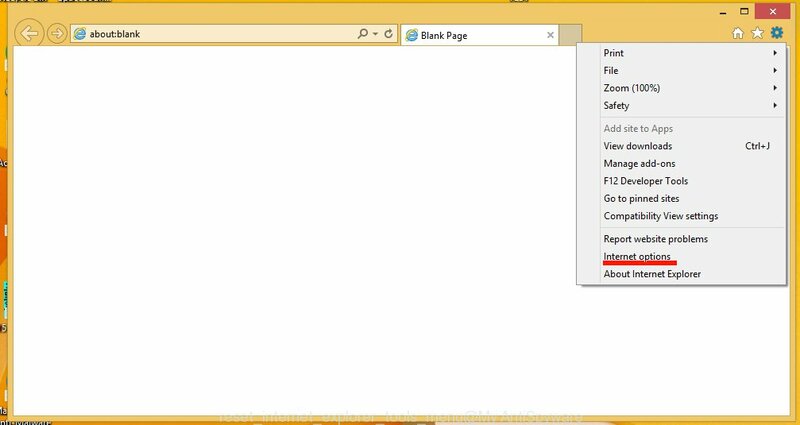 PUPs such as the ad supported software can make changes to your web-browser settings, add toolbars and unwanted addons. By resetting Chrome settings you will remove Persubscribe.com advertisements and reset unwanted changes caused by ad-supported software. It’ll keep your personal information like browsing history, bookmarks, passwords and web form auto-fill data. Once this process is done, your web-browser’s new tab, startpage and search engine will be restored to their original defaults. If you’re an unskilled computer user, then all your attempts to get rid of Persubscribe.com pop-ups by following the manual steps above might result in failure. 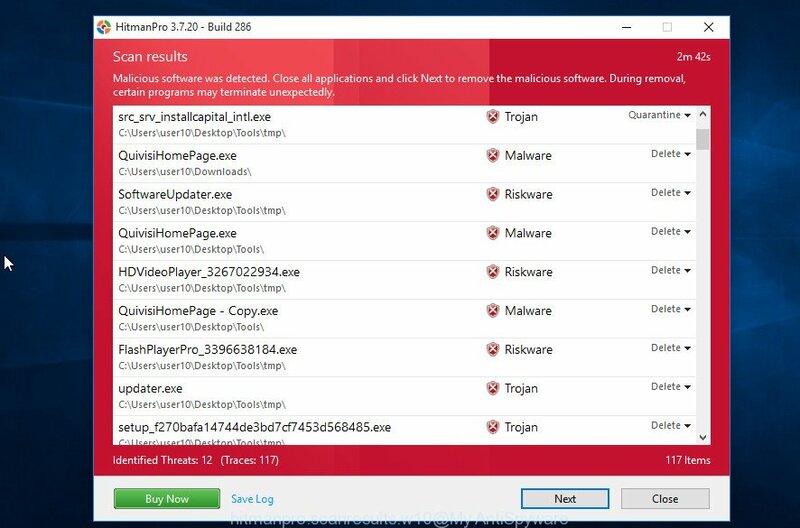 To find and remove all of the adware related files and registry entries that keep this adware on your PC, run free antimalware software such as Zemana Anti-Malware (ZAM), MalwareBytes Anti-Malware and HitmanPro from our list below. 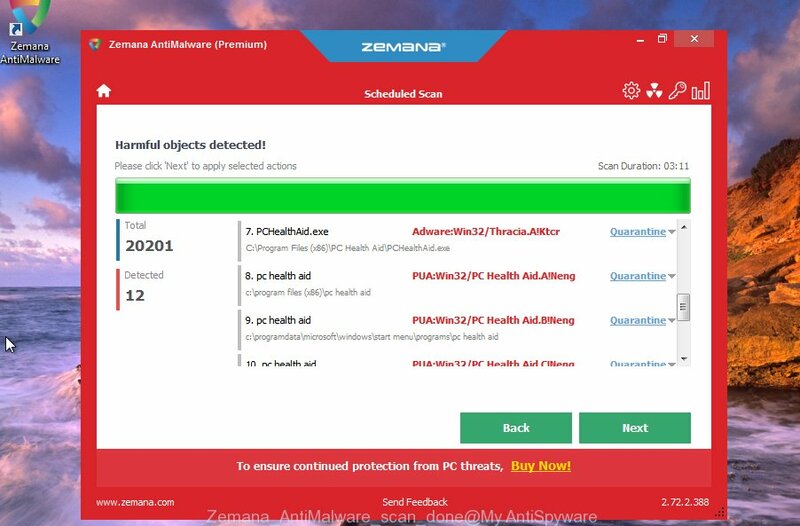 Zemana is a malware removal tool developed for MS Windows. This utility will help you get rid of Persubscribe.com popups, various types of malware (including browser hijackers and PUPs) from your system. It has simple and user friendly interface. While the Zemana Anti-Malware does its job, your machine will run smoothly. Once the downloading process is done, start it and follow the prompts. Once installed, the Zemana Free will try to update itself and when this task is done, click the “Scan” button for scanning your system for the ad-supported software that redirects your internet browser to annoying Persubscribe.com web page. This task can take some time, so please be patient. When a threat is found, the number of the security threats will change accordingly. Wait until the the scanning is finished. You may remove threats (move to Quarantine) by simply click “Next” button. 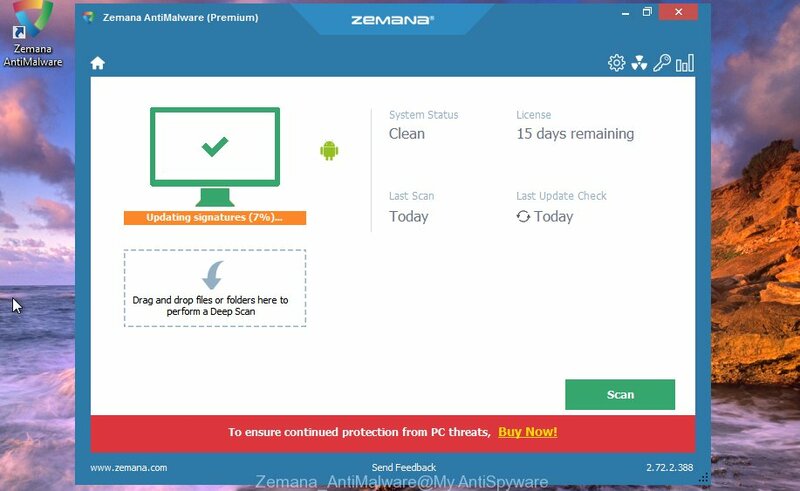 The Zemana Anti Malware (ZAM) will start to delete ad-supported software that responsible for the appearance of Persubscribe.com pop up advertisements. HitmanPro is a portable program that requires no hard installation to look for and remove ad-supported software responsible for Persubscribe.com popup notifications. The program itself is small in size (only a few Mb). Hitman Pro does not need any drivers and special dlls. It’s probably easier to use than any alternative malware removal utilities you have ever tried. HitmanPro works on 64 and 32-bit versions of Windows 10, 8, 7 and XP. It proves that removal tool can be just as useful as the widely known antivirus applications. Click the following link to download the latest version of Hitman Pro for MS Windows. Save it on your MS Windows desktop. Once the download is finished, open the file location and double-click the Hitman Pro icon. It will launch the HitmanPro tool. If the User Account Control dialog box will ask you want to start the program, press Yes button to continue. Next, click “Next” . Hitman Pro tool will begin scanning the whole system to find out adware that responsible for browser redirect to the unwanted Persubscribe.com web site. When a threat is detected, the count of the security threats will change accordingly. Wait until the the checking is finished. When the system scan is complete, a list of all threats found is produced as on the image below. Once you’ve selected what you wish to remove from your PC click “Next” button. It will open a prompt, press the “Activate free license” button. The HitmanPro will begin to remove ad supported software that responsible for web browser redirect to the intrusive Persubscribe.com web page. After the task is complete, the utility may ask you to reboot your personal computer. Delete Persubscribe.com notifications manually is difficult and often the ad-supported software is not completely removed. 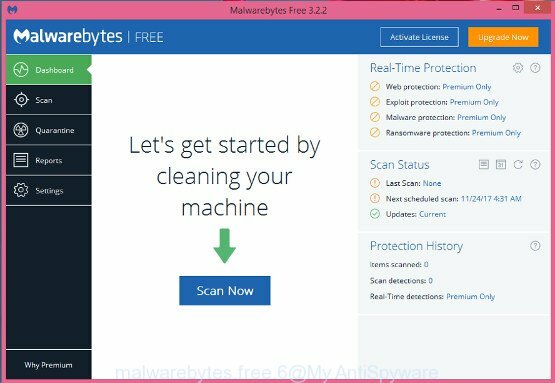 Therefore, we suggest you to use the Malwarebytes Free which are completely clean your PC system. Moreover, the free application will help you to get rid of malicious software, potentially unwanted programs, toolbars and hijackers that your computer may be infected too. 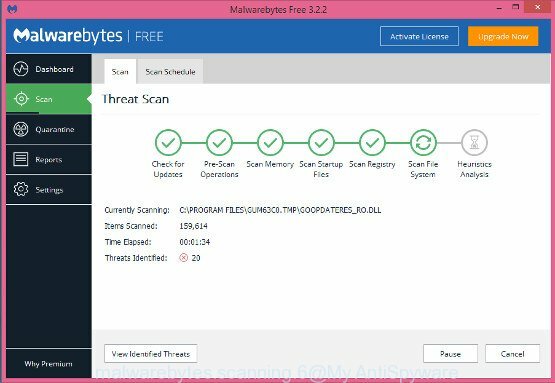 Please go to the following link to download the latest version of MalwareBytes Anti-Malware (MBAM) for Windows. Save it to your Desktop so that you can access the file easily. When the download is finished, close all applications and windows on your system. Open a directory in which you saved it. Double-click on the icon that’s named mb3-setup as shown in the figure below. 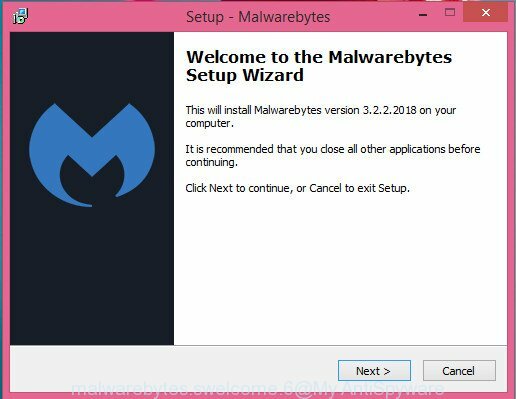 When the install begins, you’ll see the “Setup wizard” which will help you set up Malwarebytes on your computer. Now click the “Scan Now” button to detect adware related to Persubscribe.com popup ads. This task can take some time, so please be patient. 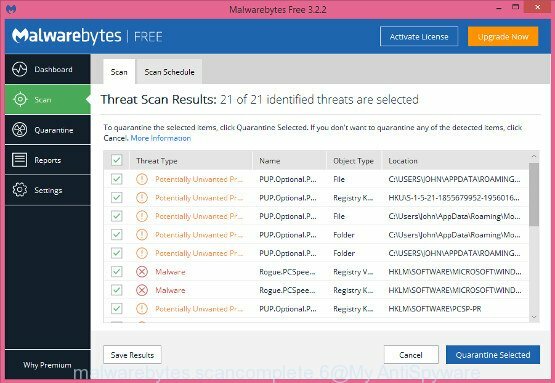 Once MalwareBytes AntiMalware (MBAM) completes the scan, you will be shown the list of all detected items on your computer. You may remove threats (move to Quarantine) by simply click “Quarantine Selected” button. The Malwarebytes will now remove ad-supported software that responsible for the appearance of Persubscribe.com pop-up notifications and move threats to the program’s quarantine. Once finished, you may be prompted to reboot your system. The following video explains step-by-step guidance on how to delete hijacker infection, adware and other malicious software with MalwareBytes. 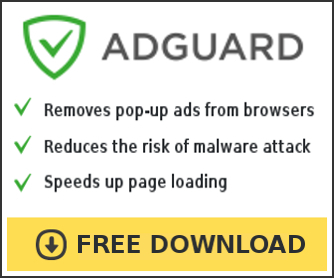 The AdGuard is a very good ad blocker program for the IE, Chrome, Mozilla Firefox and Microsoft Edge, with active user support. It does a great job by removing certain types of unwanted ads, popunders, popups, annoying newtab pages, and even full page advertisements and web page overlay layers. 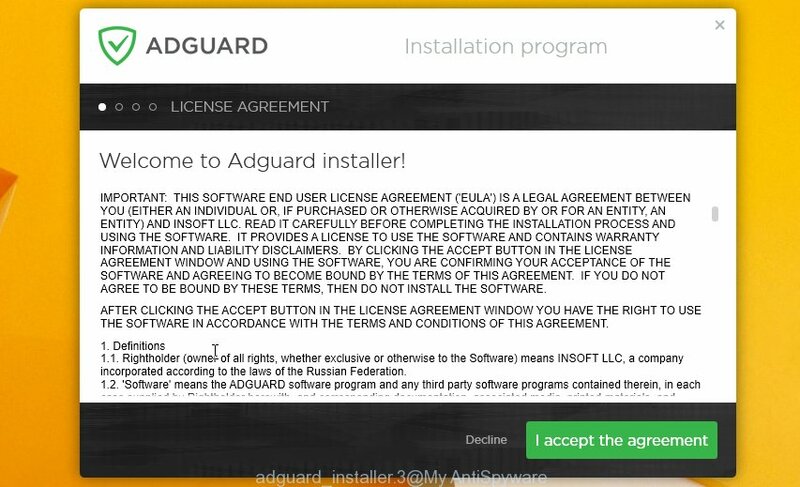 Of course, the AdGuard can stop the Persubscribe.com pop up notifications automatically or by using a custom filter rule. Visit the following page to download the latest version of AdGuard for Microsoft Windows. Save it to your Desktop so that you can access the file easily. After the downloading process is finished, launch the downloaded file. You will see the “Setup Wizard” screen as shown on the screen below. In most cases, the default settings are enough and you don’t need to change anything. 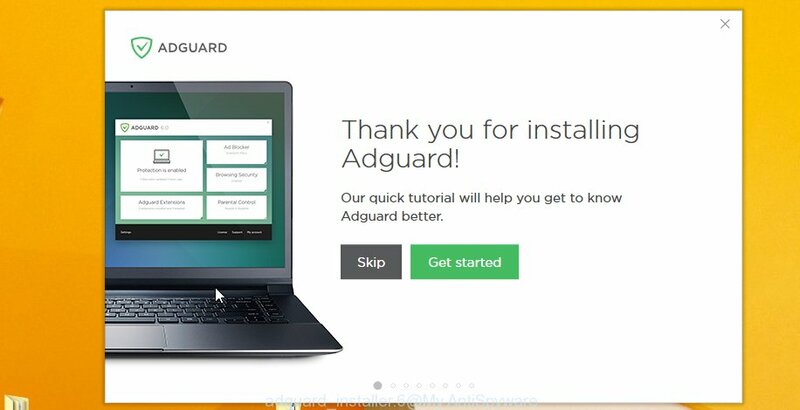 Each time, when you start your system, AdGuard will start automatically and stop pop up advertisements, Persubscribe.com pop-ups, as well as other harmful or misleading websites. For an overview of all the features of the program, or to change its settings you can simply double-click on the AdGuard icon, that may be found on your desktop. Now your PC system should be free of the ad-supported software that responsible for the appearance of Persubscribe.com pop up notifications. We suggest that you keep AdGuard (to help you stop unwanted pop-up ads and annoying malicious web-pages) and Zemana AntiMalware (to periodically scan your system for new malicious software, browser hijackers and adware). Make sure that you have all the Critical Updates recommended for MS Windows operating system. Without regular updates you WILL NOT be protected when new browser hijackers, harmful applications and adware are released. If you are still having problems while trying to delete Persubscribe.com popups from your browser, then ask for help here.